Being Asian, we don’t think most of the things on Sushi Love‘s menu are authentic enough for our taste (Asian fusion doesn’t really float our boats). Being cheap college students, we always go for the House Fried Rice, which is $8 for dinner. 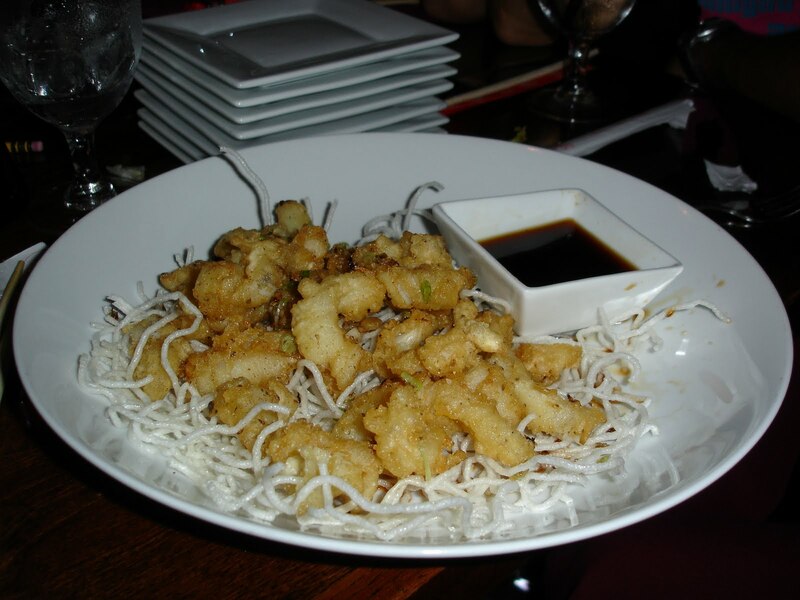 The calamari was served over crispy straws with a “yum yum sauce” that tasted like soy sauce, a bit of vinegar, sugar, and water. But it went well with the calamari, so I have nothing against it. I also love the calamari. It didn’t have a strong squid-y taste, and just the right amount of chewiness. 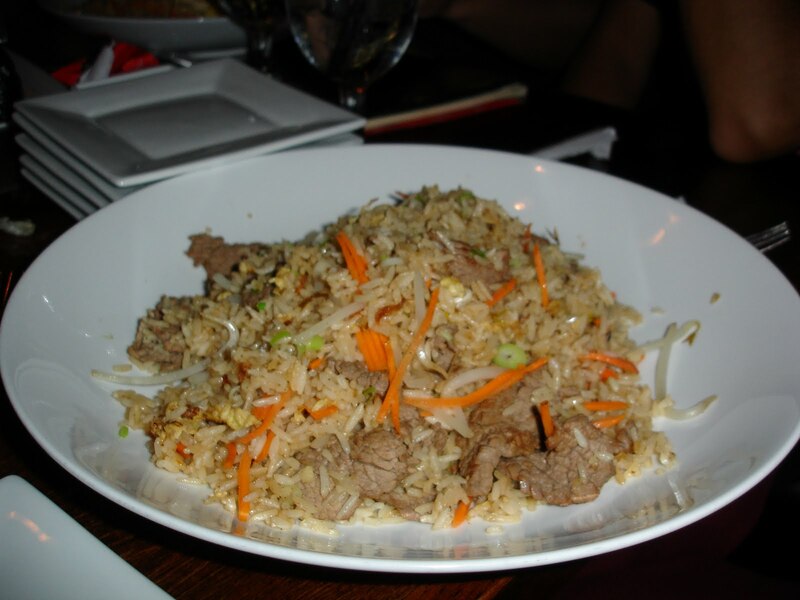 The fried rice is your typical fried rice: an assortment of vegetables (carrots, sprouts, scallions), eggs, beef. Some of my friends have complained that it’s not salty enough, but I don’t like things with too strong of a flavor, so for me, it’s just right. Also, if you’re not a big eater (like me), the fried rice is probably enough for you to share with another non-big eater if you order an appetizer.